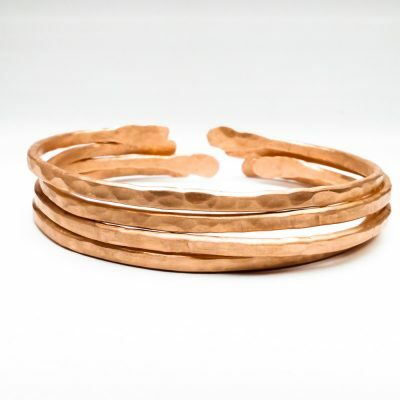 The Dia Bangle AKA the Day Bangle, from Black Six Jewelry, has a bohemian-chic design that features an individually hammered and buffed, open end, 100% copper bangle. 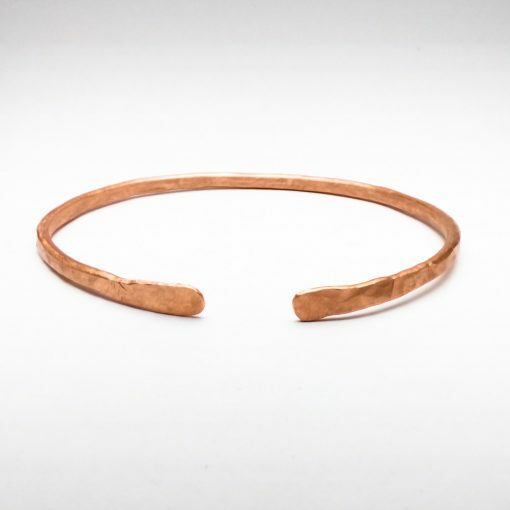 This multi-fashion bangle is ready for anything whether you’re in the office working or bar hopping in the East Village. Dia’s hammered, copper design looks great with jeans and a t-shirt and its unisex design can be worn by both men and women. 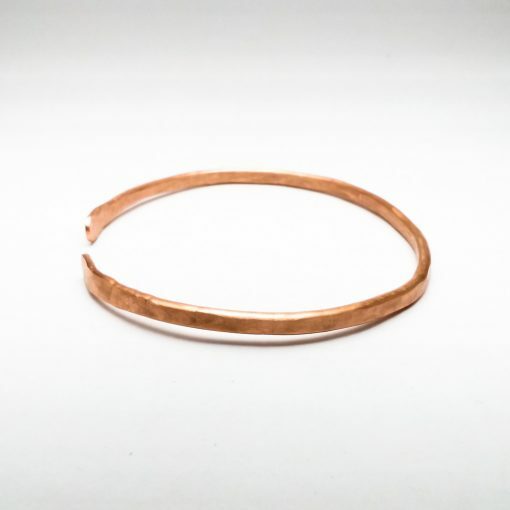 The average width of the bangle is 1/8″ (4 mm) in width. Dia Bangles come with a 1/2″ (12-13mm) gap. The sizes shown are the inside circumference including the 1/2″ (12-13 mm) gap. Although Dia Bangles are adjustable, I recommend ordering 1/2″ to 1″ above your usual bangle measurement size as they are meant to fit looser on the wrist than the usual round bangle would fit. Not every Dia Bangle is individually photographed. 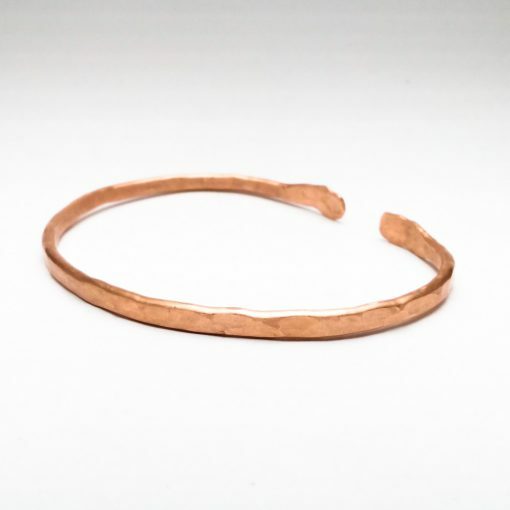 The bangle you will receive will be very similar to the ones pictured but may differ slightly due to differences and variations during the fabrication process (hammering, patina application, etc).